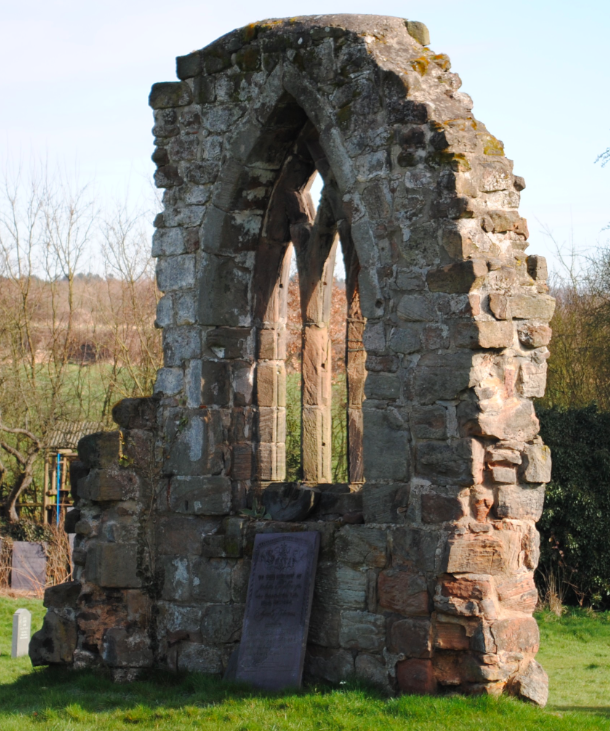 Located near to the present church of St George is the remains of Ticknall medieval church. The medieval church was originally built as a chapel dedicated to St Thomas Becket and was first mentioned in the early 13th century. Completely rebuilt in the 14th century followed by alterations in the 15th century, the chapel became the parish church by 1650. After falling into disrepair during the 19th century, permission was granted to build a larger church – the present church of St George which was built in 1842. 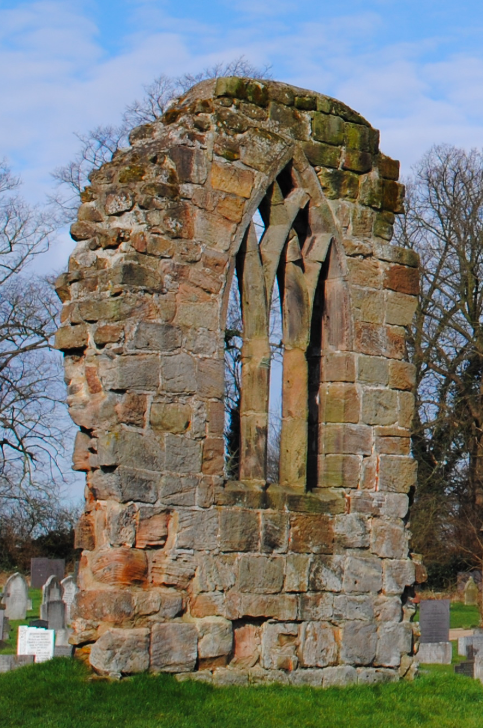 The medieval church was blown up with gunpowder in 1841. Some of the stone was reused in the building of the new church. There are surviving remains below ground with two fragments of the medieval structure above ground. The surviving walls are constructed of coursed, squared sandstone and ashlar with a surviving three light window with intersecting tracery. 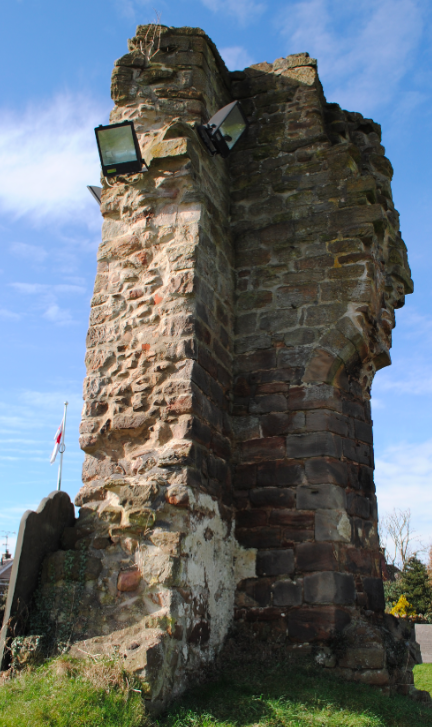 The remains of the medieval tower and buttresses (above) with part of the west wall which retains the jamb and the first three voussoirs. The medieval church is Grade II Listed and a Scheduled Ancient Monument.